As leaders we are drawn to success stories. We study businesses teams that seem to defy the odds and win. Teams that realize profitable sustainable growth, even in the worst economic conditions, command our respect and admiration. However, for us as leaders to create teams that drive ; repeatable, sustainable, profitable growth we must study both the market leaders like Apple as well as those that were once leaders who fell from grace like Zenith. 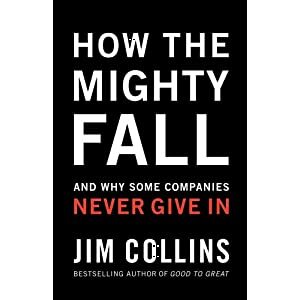 I just finished another book that will definitely be on my must read list for business leaders; How the Mighty Fall; and why some companies never give in, by Jim Collins. As I page through the book once more I see page after page with highlights, underlining’s and notes in the margins. I have been a fan of Collin’s since Good to Great. I enjoy his non emotional, almost scientific approach to the dynamics of business. Collins identifies the value business leaders can gain by studying companies who did not win and actually fell from grace. I remember Zenith TV’s when I was a child growing up in Cleveland, Ohio in the 1960’s. They were the best TV’s. If you were to ask anyone who the leader in TV’s was they would have said Zenith back then. However today they are non existent. What happened? How does this fall from grace occur? Is it something that was preventable or inevitable? Are their common early warning signs we can watch for so our teams do not move from a position of “market leader” to “market loser”? I particularly found his identifying the stages of decline brilliant as I have lived each with various clients over the past 25 years. In addition to providing the common steps once market leaders often faced on their fall, he also provides what he calls; “markers” or early warning signs to see if your team is in one of the five stages of decline. 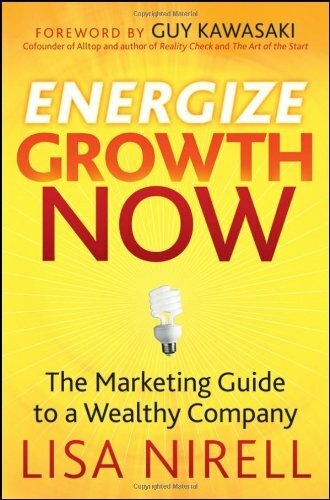 I highly recommend this book for business leaders who want to passionately serve their markets while increasing their shareholder value. In this book he draws on an analogy of how a “sick” business is like a sick person. On the outside they may look fine, but upon further investigation you find illness. If you find” Sickness” early enough you can take corrective action to cure the problem and avoid future pain. If arrogantly left unchecked, often due to the “hubris” of stage one, businesses become sick and it can be terminal. How about your organization? Could your team be in one of the five stages of decline right now? Are you battling an 800 pound gorilla in your market that is in denial? Is your team positioned to help your market when they fall? I think it was Lincoln who said; “those who do not study history are destined to repeat it” I recommend you and your leadership team read and discuss; How the mighty fall. I ask you humbly challenge yourself and your leaders to insure your team are destined for profitable growth and not a fall. Organizations that create objectives based on their needs and timelines and not their buyers miss key indicators and create frustration for their internal and external customers. Why do so many organizations create goals and key performance indicators from high within their organizations and not from the market and buyers in market? When organizations start building market driven goals with an understanding of the problems their products and services solve, key indicators and EBITDA objectives are met and exceeded. If you have not gathered it from previous posts, I fly a great deal. Domestic travel has become more of a necessary evil experience (with the exception of South West). I have traveled on business now for over 25 years, so I remember when air travel felt like the airlines valued me and my business. International travel has become even more challenging. I traveled from Phoenix to Manchester England recently on Delta. I had a long layover in Atlanta and then 7 1/2 hour flight over the pond and I was in business. The first leg of my flight left Phoenix at 6:10 AM. so based on the rules for international travel I had to check in at the airport by 4:00 AM. Luckily I do not live too far from the airport so I set my alarm at 2:45 AM. I arrived, parked the car, took the parking bus to the terminal, went through security and arrived at my departure gate. I settled in with a book I have wanted to read by Jim Collins and I was not looking forward to my 5 hour layover in Atlanta,… but you have to do what you have to do. I went up to the check in counter, and found I could indeed take the later flight and still have a hour to make my connection in Atlanta. However, since I was already at the airport, I decided to decline. Hey Delta…when did your system know you were oversold? Is this the ideal buyer experience for your service? …I think not. If your system knew within 24 hours of the flight it was over sold, it sounds like you have an unresolved problem you need to solve that may actually turn into a service your customers rave about and save your bottom-line profits…Interested? If you have the technology to remind me to check in 24 hours prior to the flight, …can you leverage that technology to request volunteers for overbooked flights 24 ours ahead of check in? If so I would have volunteered for free to have a few more hours of shut eye! Do you set sales goals and timelines based on your needs versus the markets? How’s that working for you? Are your sales objectives and timelines created by internal Hippos who have a dated understanding of your market? Or are your goals developed with a clear understanding of your buyers, their buying process and criteria? Let me ask you a key question…. What % of your sales team met or exceeded their sales goals last year? If you are like most organizations as high as 70% of your team missed their sales objectives last year. So let me get this straight, 70% of your team missed their sales objectives in 2009, and 100% received a goal increase in 2010? Am I the only one who has heard Einstein’s definition of insanity? [Hell, chances are you have used it in meetings with your team, why not look in the mirror when setting goals?] So your employees also suffer whn goals are made wiout an understanding of your buyers? Market leaders understand goals should not be a shell game, and they must be created from a clear understanding of your markets and how (when) your buyers buy. Market losers create objectives in their Hippo watering holes called boardrooms with little or no understanding of their buyers, buying timelines, and buying process.They focus on their needs and not those of their buyers. They demand buyers to buy on thier timeline. Market Losers get frustrated because objectives and key timelines are being missed, and they try to “manage” their way to bottom-line objectives. If you are a Hippo, when is the last time you left “the watering hole”? When was the last time you bought or used your product or service? When was the last time you talked to a potential buyer for your product? Are you dictating when buyers must buy? Get out in your market and get to know your customers and potential customers today. When you do you will discover market problems and see opportunities for your team to solve those problems. Who knows, you may also create raving fans who value a few extra hours a shut eye more than a $400 travel voucher.